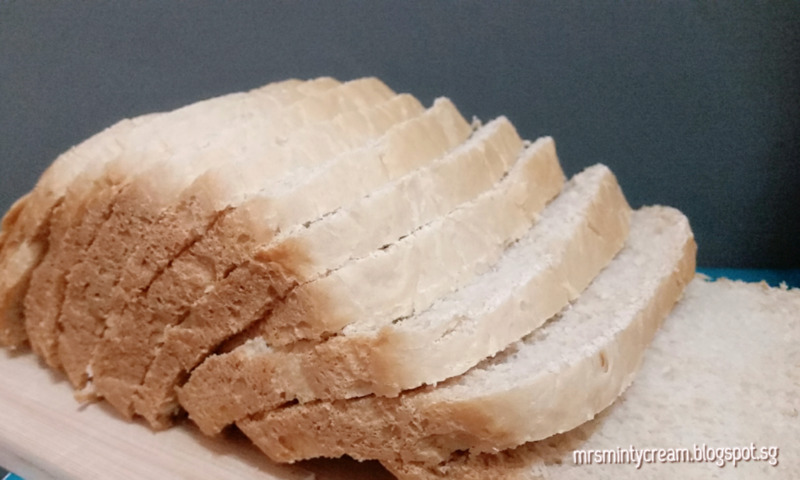 If you are looking for a bread recipe that does not require butter, egg or even milk, you have found it! This is the soft & yummy Honey Bread Loaf that I always turn to when I am running out of ingredients in my pantry. This recipe is so easy that even a beginner will have no problem with it at all. 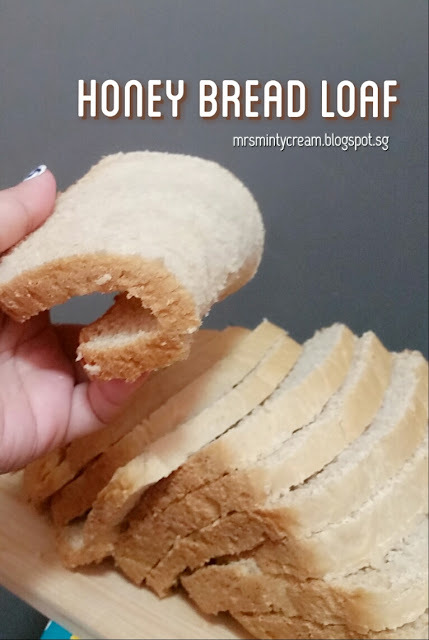 The bread you will get is slightly sweet (not too sweet) and you will be able to taste the honey but it is not overpowering at all. Fresh or lightly toasted, the bread taste just as good! 1. Pour water into the bread barrel. 2. At each corner of the bread barrel, add in honey, sugar and salt. 3. Add in bread flour on top of the wet ingredients. Make sure the wet ingredients are well covered by the flour. 4. In the center of the flour heap, make an indentation and add in the instant dry yeast. Cover up the yeast with the flour. 5. Secure bread barrel in the bread machine. 6. Select "Custom Procedure" function on your bread machine (On my Donlim T15A Breadmaker, I selected function "21") and input the following settings before selecting "Start". 8. After second kneading (before the dough undergoes second proofing), paused the machine and remove the kneading blade from bread barrel. Continue with second proofing and baking. 9. When bread is ready, remove bread barrel from the machine immediately. 12. 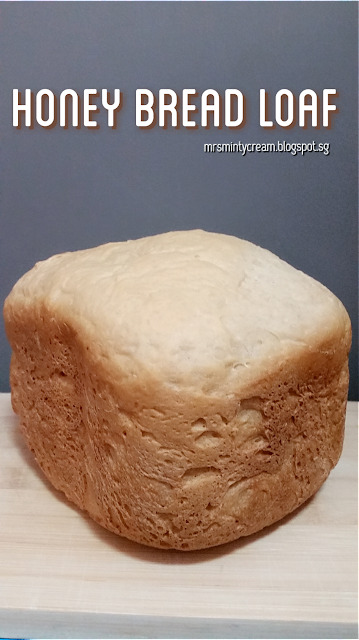 Transfer the bread to cooling rack to allow it to cool completely before slicing and serving. That looks like a really great and beautifully textured bread recipe! I have to agree with you on that! The simple joy of baking! This bread looks and sounds incredibly delicious! Looks so soft and fluffy! Looks amazing, nothing like baking your own bread at home! This looks fantastic, so soft and fluffy! I'll have to give your recipe a try, my girls are in charge of baking bread every weekend! That's really sweet of your girls. Maybe you can give this recipe a try this weekend! Hi Celine! I'm using Donlim too but a different model. Why does my BM stopped kneading after 10 minutes regardless of the timing I set? Is that the norm?